Slate Rock Safety, a division of Ritz Safety, is an ecommerce retailer and distributor of work and safety apparel, comprised of five business units, including flagship FRSafety.com. Collectively, the business units serve the oil & gas, electrical utility, construction, public safety, a myriad of industrial markets, and manufacturing. Our industry-leading uniform program, Outfitters, can now be supplemented with PPE from world class manufacturers. Add to it the workplace expertise and product knowledge of our team all over the United States, and you have a total workplace safety solution. As you continue to notice some changes with our sites, know that we're only adding more products and resources to give you the best service possible. Contact us for any questions, or to learn how the acquisition of Slate Rock Safety by Ritz Safety can benefit your company and take care of your safety needs. Our national footprint keeps growing, making it easier to provide you with Safe Products, Sound Advice, Delivered. Stop by or call any of our locations. We'd love to learn more about your safety needs and see how we can help. 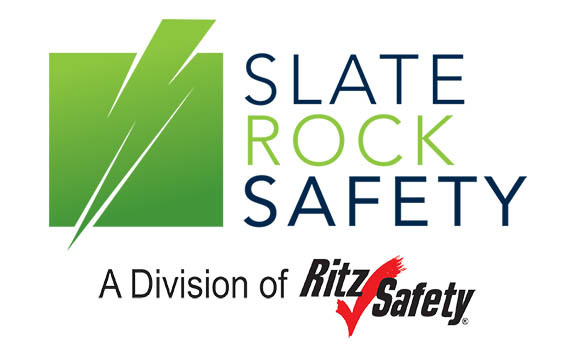 Dayton, Ohio based Ritz Safety LLC is excited to announce the acquisition of Slate Rock Safety. Slate Rock Safety, an industry-leading ecommerce retailer and distributor of PPE and work apparel, is proud to announce it has been selected as a 2015 Weatherhead 100 company for the third consecutive year. Slate Rock Safety, an industry-leading ecommerce retailer and distributor specializing in flame resistant clothing (FRC) clothing, was selected by INC Magazine as one of "America's Fastest-Growing Private Companies" for the 4th year in a row.